It was expected to be an edge-of-a-seat contest between the No.2 ranked side who has won 12 of its 13 previous bilateral ODI series and the team with the highest W/L ratio at home in the recent past. But, it all took three ODIs for the Virat Kohli-led Men in Blue to sweep the 5-match series. The first three ODIs followed a similar template that India: attack with seam and pace courtsey Shami and Bhuvneshwar Kumar, unleash the spin twins in the middle-overs before the top-order polished off the required runs. But, often it is the tough situations, which gives a true reflection of where you stand as a side; the one which puts you in an uncomfortable situation; the one that breaks the bubble of invincibility and unearths harsh realities. The fourth ODI at Wellington was a perfect reflection of that. India was without the services of Virat Kohli [rested] and MS Dhoni [injured] and had unearthed their latest batting sensation- Shubman Gill. 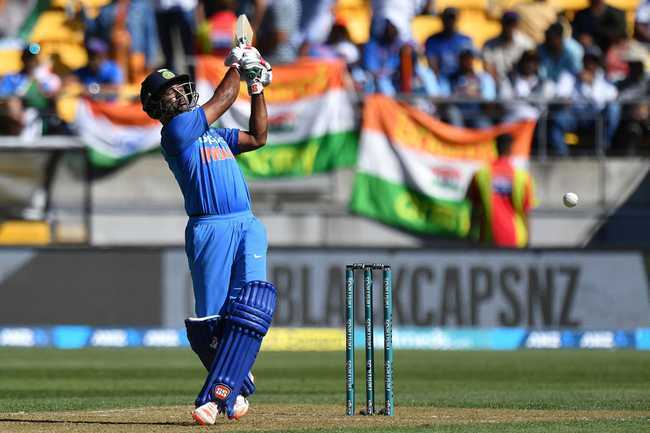 In the absence of Kohli and Dhoni, it was a perfect opportunity for the likes of Rayudu to take the onus and pin his name down in India's World Cup squad and end the debate around the No.4 spot in conditions ideal for seam and swing. That opportunity was lost in the fourth ODI. When on the song, Trent Boult is a sight to behold. The left-hander made great use of the conditions to knock India over- including Rayudu, for 92. New Zealand finished off the formality by knocking of the requisite 93 runs and ruin India's desire of inflicting a whitewash bit also handed them their biggest loss [in terms of balls] in ODIs. The fifth ODI seemed to have followed the same template after the tourists got reduced to 4-18 against an incisive spell of Boult and Henry. But, as all champion sides do, they shrug off the blip and restore normal services, which is what the Men in Blue did at Wellington. 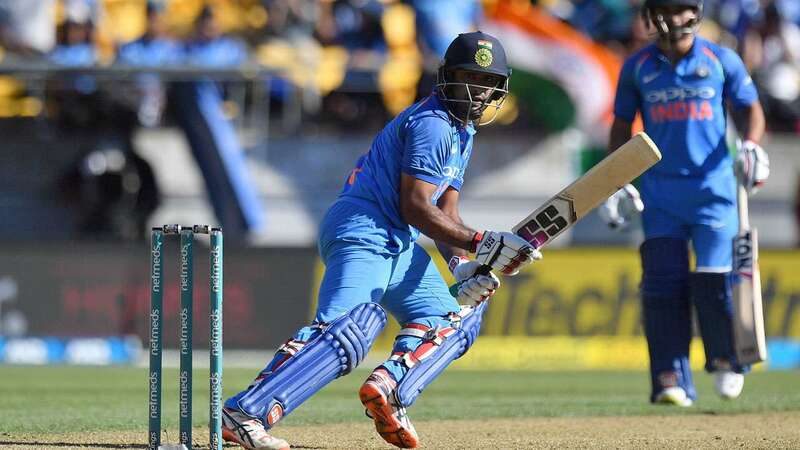 Rayudu did not let the chance - perhaps his last chance of establishing himself in the World Cup side, slip, and, first with Vijay Shankar, who played an enterprising knock of 45  before getting run-out, staged India's recovery by stitching a 98-run stand for the fifth wicket. Rayudu played the match-situation perfectly. With India under the Kosh, the right-hander, albeit a bit streaky at times, played cautiously before teeing off at the end to score a much-needed 90. He had able allies, firstly in Shankar and then in Jadhav, against whom he stitched a crucial 74-run stand. Both Jadhav and Rayudu fell in succession but Hardik Pandya's whirlwind 45 off 22 balls, helped India post a score in excess of 250 . With the kind of form the Indian bowlers are in, it was never going to be a stroll in the park for the hosts, and it was vindicated when they found themselves reeling at 3-38. Williamson and Latham steadied the ship with a 67-run stand but neither of them could kick on and post a substantial score. 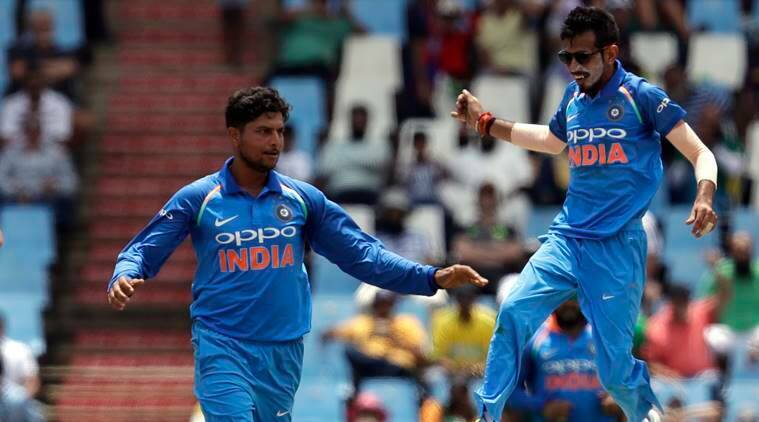 Jadhav claimed the crucial wicket of Williamson while Chahal accounted for Latham and de Grandhomme to put India into the ascendancy. 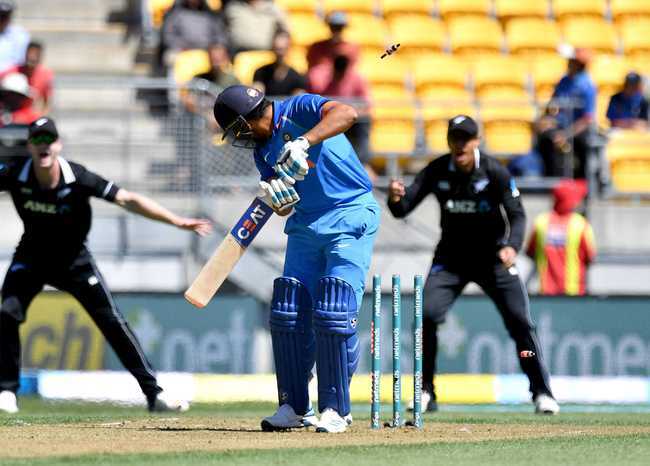 James Neesham threatened to take the game away during his blistering knock of 44, but a brilliant piece of work by MS Dhoni to inflict a run-out which proved to be the final nail in the hosts' coffin and claim a well-deserved 4-1 scoreline. So, what did we learn from the ODI series? Mohammad Shami has successfully carried his red-ball form into white-ball cricket and with his exploits across the eight ODIs in Australia and New Zealand, the fast bowler has made it hard for the team management to leave him out of the playing 11, once Jasprit Bumrah comes back into the side. Shami was outstanding against the Kiwis. In the 4 ODIs that he played, the fast bowler claimed nine wickets. He tested the Kiwi openers- especially Martin Guptill with his hard lengths and regularly set the game up for the wrist-spinners by claiming early wickets. Much was expected from the young prodigy in Shubman Gill, but his failures only highlighted the gap between domestic cricket and the top-level. The Punjab batsman managed scores of 9 & 7 in the two games that he played. Rayudu at No.4 in the World Cup? If you had asked this question prior to the fifth ODI, the answer to this question could have been No, especially after a lackluster series, Rayudu had endured in Australia and his dismissal in the last game left a lot to be desired. But, his rearguard innings  in the 5th game that helped India out of troubled waters, may well have helped him seal his spot for the World Cup. For all his off-field shenanigans, it is hard to argue that Hardik Pandya's all-around skills lend a perfect balance to the ODI side. 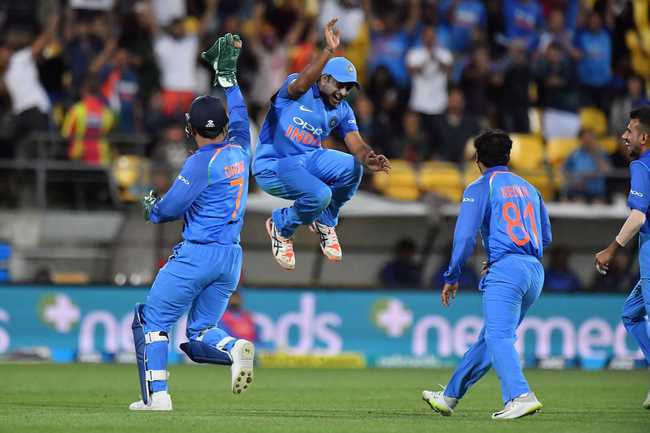 Drafted into the side in the 3rd ODI, Pandya claimed a flying catch to send Kane Williamson back and backed it up with match figures of 2-45 before playing a decisive cameo [45 off 22 balls] in the final game to push India's total past an eventual match-winning score of 250. Pandya's presence also makes it possible for India to play their spin-twins in Chahal and Kuldeep, who as we saw in the series, revel in each others company. The duo, who completed 100 wickets while playing in tandem for India, created a stranglehold on the Kiwis, claiming 14 wickets between them.